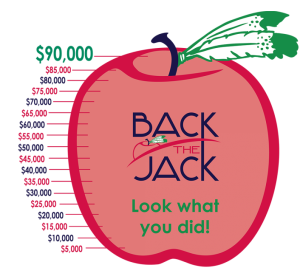 The foundation is pleased to offer a Teacher Grant Program for faculty at Nickajack. This program allows teachers to apply for funding for curriculum enhancements, STEAM-focused equipment and supplies, and professional development opportunities. The foundation’s grant liaison will review the letters of intent and addresses any concerns or needs for clarification with teachers. At this point in the process, the liaison will make suggestions for improvement and changes that will increase the teacher’s probability of being awarded their grant. The teachers are welcome to reach out to the grant liaison with questions at any time. Once grant applications have been received, a grant committee comprised of some board members of the foundation, read and score the applications based on a scoring rubric. Grants are then fully or partially awarded based on scores and the overall budget allotted to grants. Does the grant fit within the mission of the foundation? What population of the school will the grant benefit? Is the amount of the grant justified based on the population it will serve? Is the grant a repeat ask? Is the grant professionally written, well explained, and free of errors? Does the application have all the appropriate signatures? Was the grant submitted on time?